The high-speed train service between Shenzhen and Hefei in Anhui Province will be officially put into operation on December 11st, according to the new national train operation schedule. The fare for an economy-class seat is 571.5 yuan (US$91) and for first-class 736 yuan. The whole trip takes less than 14 hours, 7 hours shorter than by regular trains. 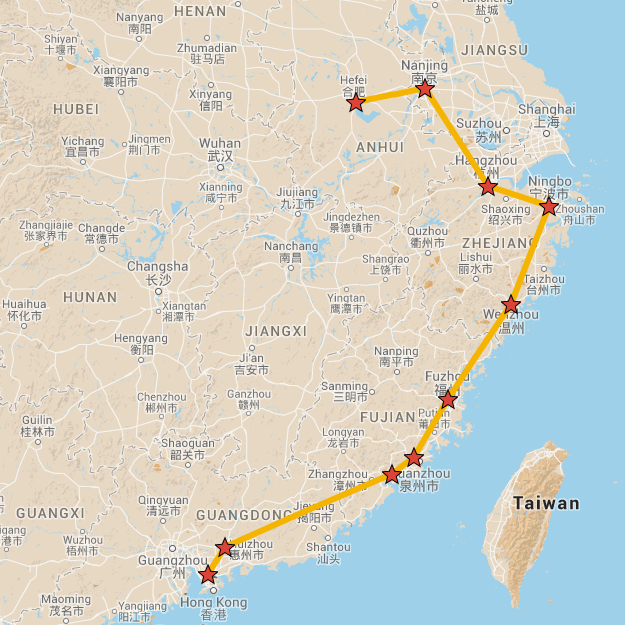 The train passes through 32 stations including Hefei South, Nanjing, Hangzhou, Ningbo, Wenzhou, Fuzhou, Quanzhou, Xiamen, Huizhou and Shenzhen North.